Any code 39 barcode card will work for scanning into Rock Gym Pro. For membership cards, use a keychain tag – they’re small and the member always has their keys. We order our keychain cards in bulk (a few thousand at a time). Our logo is on one side, the membership number is on the other. Start your cards at 1,000 and go up from there. Use code 39 barcodes! You can find a local vendor to supply you with key tags. For multigyms, you could use the unique 3 letter code for each location. For multigym installations, all card numbers must be unique across all gyms. This is very important! No two members must have the same card number at any gym! Of course, you always have the option of checking in customer’s by last name. NOTE: A video tutorial on gift card sales and redemption is available. 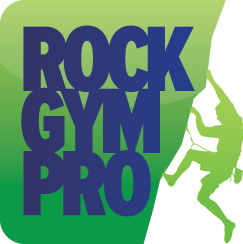 Gift cards are a great source of revenue for a climbing gym and with Rock Gym Pro issuing and redeeming gift cards is very straightforward. Ordering Cards – You must order your gift cards from an outside vendor. See Vendor List above. Your cards need to have a Code 39 barcode and should be incrementally numbered. You should prefix your card numbers with a unique number for your gym. For example, our first batch of card numbers went from 154000100 to 154000600. The “154” is our unique identifier. You can use any number you want. Click on the picture below to see an example proof of our cards. RGP does NOT support magnetic strip style gift cards, only barcoded gift cards can be used. Ordering Display Racks – We also ordered display racks, display backings, and gift envelopes from the same vendor. Setting Up Your Computer – Your POS computer must have a keyboard emulating barcode card reader. This is the same type of card reader used for your membership cards. We recommend the Metrologic/Honeywell Voyager. Selling Gift Cards – To sell a gift card, select the Gift Card product at POS. Then scan the new card and enter an amount. Complete the transaction like any other transaction. The card has now be credited with the specified amount. Redeeming Gift Cards – To redeem a gift card, create a transaction like you normally would in the POS. Before completing the transaction, select the Redeem Gift Card button on the POS screen. Scan the card to be redeemed and enter the amount. Reviewing Cards – You can review the balances and transactions on any gift card by going to Data Entry -> View -> Gift Cards and scanning the card.